Ivanchuk was born in Kopychyntsi, Ukraine. He won the 1987 European Junior Chess Championship in Groningen and first achieved international notice by winning the 1988 New York Open with 7½/9, ahead of a field of Grandmasters. He tied for first place in the 1988 World Junior Chess Championship at Adelaide, but lost the title on tiebreak to Joël Lautier. He was awarded the Grandmaster title in 1988, and entered the world top 10 the same year. 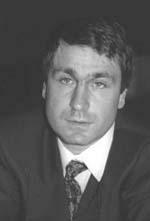 Ivanchuk attained chess world fame in 1991 at the age of 21 when he won the Linares tournament. Fourteen players participated, eight of them, including World Chess Champion Garry Kasparov, rated in the top ten in the world, and the other two among the world's top 50 players. Ivanchuk edged Kasparov by a half-point, defeating Kasparov in their head-to-head game. It was widely believed that Ivanchuk might become World Champion. He has not so far achieved this, although he came close in 2002 when he reached the final of the FIDE World Chess Championship 2002. While being consistently among the top 10 from 1988, Mark Crowther's The Week in Chess said that his erratic play was due to "poor temperament." His inability to become World Champion despite his immense talent and longevity among the chess elite has been attributed to his admittedly poor nerves, demonstrated by astonishing blunders such as in the 1994 London Grand Prix blitz, failing to complete a strong attack on Viswanathan Anand in blitz with a basic and obvious mate in one, all despite having 1:14 left on the clock. Ivanchuk's nerves were notably exposed during the high-tension atmosphere of World Championship match-format tournaments, such as in 2002 where he was heavily favored in the FIDE championship final after having defeated defending champion Viswanathan Anand in the semifinals, only to lose to countryman Ruslan Ponomariov in a significant upset, denying him the World Championship. Subsequent match-play tournaments in World Championship cycles saw Ivanchuk consistently underperform; in the FIDE World Chess Championship 2004, Chess World Cup 2005, Chess World Cup 2007, and Chess World Cup 2009, he failed to advance past the third round despite being seeded No. 5, No. 1, No. 1 and No. 6 respectively in those events. Ivanchuk's world championship aspirations were also dampened by the unfortunate title split 1993 to 2006. Due to obligations with FIDE, Ivanchuk and Anand did not participate in the 2002 Dortmund Candidates tournament for the Classical World Chess Championship 2004. He was then narrowly excluded, on the basis of rating, from the rival FIDE World Chess Championship 2005. While he won one of the events of the FIDE Grand Prix 2008–2010, his overall performance was not enough to qualify him for the World Chess Championship 2012 candidates tournament. Ivanchuk played in the 2013 Candidates Tournament, which took place in London, from 15 March to 1 April. He finished seventh, with a score of +3−5=6.. The tournament was notable for his unusually poor time management (he lost two games on time), as well as his major impact on the leaderboard despite being a tail ender: he managed to defeat both leaders Magnus Carlsen (round 12) and Vladimir Kramnik (round 14), resulting in Carlsen qualifying for the World Chess Championship by tiebreak. In 2016, Ivanchuk won the World Rapid Chess Championship in Doha, Qatar, with a score of 11/15. In 2013, Gawain Jones described Ivanchuk as "possibly the most talented [player] ever". Judit Polgár, when asked in 2012 to name chess players whom she considers geniuses, named only Ivanchuk, Magnus Carlsen and Viswanathan Anand. The players have a word for him. They say he lives on "Planet Ivanchuk". (Laughs) ... I have seen him totally drunk and singing Ukrainian poetry and then the next day I have seen him give an impressive talk. His playing style is unpredictable and highly original, making him more dangerous but sometimes leading to quick losses as well. If he were able to make most of his talent, he would surely be a real contender for the World No. 1 spot, but he is a highly emotional player, who takes losses badly, tends to rush critical decisions when under pressure and sometimes lacks motivation. After a string of unsuccessful performances culminated in his elimination at the early stages of the 2009 World Cup, Ivanchuk announced, in a highly emotional interview, his retirement from professional chess. However, he soon recanted on this decision. In recent years, Ivanchuk has started playing checkers and has achieved a certain level of success. In the World Draughts Federation's January 2019 ranking list he was ranked as number 1233 in the world. Capablanca Memorial Havana, Cuba 2012, 6½/10, 1st. At round one of Linares in 1991 the then only 21-year-old Ivanchuk gives up both his bishops for knights and then boxes Kasparov, then world champion, into complete passivity. Ivanchuk was first married to chess Woman Grandmaster Alisa Galliamova. On November 18, 2006, he married for the second time. In 2011, Ivanchuk and his second wife were mugged the day they were set to leave from São Paulo, Brazil on a plane bound for Spain to finish the second half of the Bilbao Grand Slam Masters. Ivanchuk threatened to withdraw from the tournament altogether, but his wife convinced him to continue. He had been leading in the tournament before this event, but did not play as well in the second half of the tournament. Ivanchuk was playing on board 1 for Ukraine in the 2008 Chess Olympiad held in Dresden. Going into the last round Ukraine was second with decent chances of placing 1st, and only a strong loss against a 10th-seeded USA would leave them without a medal. Ivanchuk was chosen to be tested for illegal substances in his system immediately after the last round. In a major upset, the USA defeated Ukraine 3½ to ½ with Ivanchuk losing his game against GM Gata Kamsky, causing Ukraine to fall to fourth and miss out on a medal. Ivanchuk was in such a distraught state after the game that he was seen "kicking a large concrete pillar". Ivanchuk refused to take a doping test and stormed out, risking punishment under FIDE rules and forfeiting his games in the event as had happened in the 2004 Chess Olympiad in Majorca. Ivanchuk was cleared when it emerged that he had not been warned of the test, and that in his distraught frame of mind, he had not fully understood the arbiter's request. ^ "Fide Rating Lists - Archive: July 1988 - FIDE Rating List". fidelists.blogspot.co.uk. Retrieved April 4, 2016. ^ a b "All Time Rating List". Chess.eusa.ed.ac.uk. Retrieved October 20, 2011. ^ "FIDE Top 100, July 2009". FIDE. Retrieved October 20, 2011. ^ "FIDE Top 100, September 2009". Ratings.fide.com. Retrieved October 20, 2011. ^ "Ivanchuk wins World Blitz Championship, Anand second". ChessBase. November 22, 2007. Retrieved July 21, 2015. ^ "Vassily Ivanchuk awarded the Order of Prince Yaroslav the Wise IV degree". Chessdom. August 28, 2011. Retrieved August 29, 2011. ^ a b c Fischer, Johannes (December 28, 2016). "Vassily Ivanchuk is new World Champion in Rapid Chess". ChessBase. Retrieved December 28, 2016. ^ "Event Details: Adelaide (U20 World Championship), 1988". Chessmetrics. Retrieved July 21, 2015. ^ John Henderson (March 2, 2002). "Linares 2002: Just How Much Wood Can a Woodchuck Chuck, Chucky?". Chessbase. Archived from the original on April 9, 2002. ^ "Vassily Ivanchuk vs Garry Kasparov (1991) "Chess Boxing"". chessgames.com. March 23, 2010. Retrieved July 21, 2015. ^ "Corus, Wijk aan Zee 2006". The Week in Chess. Archived from the original on August 26, 2006. ^ Yasser Seirawan (2002). "From a Fresh Start to a New Dawn – Part 2". The Week in Chess. Archived from the original on June 9, 2002. ^ "Tournament standings". FIDE. Retrieved April 6, 2013. ^ Peter Doggers (March 13, 2013). "FIDE Candidates: Predictions". ChessVibes. Archived from the original on March 16, 2013. Retrieved June 30, 2013. ^ "KC-Conference with Judit Polgar". Crestbook. January 12, 2012. Retrieved December 1, 2014. ^ Shekhar Gupta (January 1, 2004). "Talking with: Viswanathan Anand". The Indian Express. Archived from the original on June 3, 2004. ^ BURGESS, GRAHAM; Nunn, John; Emms, John (1998). The World's Greatest Chess Games. London: Gambit Publications. ISBN 0-7867-0587-6. ^ "Ivanchuk threatens to quit professional chess". November 26, 2009. Retrieved January 12, 2013. ^ "Vassily IVANCHUK: 'I was thrown out of the saddle'". Chess in Khanty-Mansiysk. Archived from the original on November 29, 2009. ^ "Ivanchuk: Sorry, I am not quitting chess". November 30, 2009. Retrieved November 30, 2009. ^ "Ivanchuk Vassily (UKR) is the European Rapid Chess Champion 2004". FIDE. December 1, 2004. Retrieved January 14, 2016. ^ 47th Capablanca Memorial won by Ivanchuk Chessbase Retrieved 15 May 2012. ^ "Ivanchuk, Vasyl". olimpbase.org. Retrieved July 21, 2015. ^ "Vassily Ivanchuk vs Garry Kasparov (1991) "Chess Boxing"". Chessgames.com. Retrieved December 1, 2014. ^ "Vassily Ivanchuk's Amazing Immortal Sicilian Defence Crush vs Kasparov in Linares 1991". YouTube. December 7, 2007. Retrieved December 1, 2014. ^ Evgeny Surov (February 21, 2011). "В своей модели жизни удалось объединить игру и цирк" ["In my life model I managed to unify the game and the circus"]. chess-news.ru (in Russian). Retrieved July 21, 2015. ^ "São Paulo Masters – Highway robbery in São Paulo!". Chessbase.com. October 4, 2011. Retrieved December 1, 2014. ^ "Olympiad Dresden: The Ivanchuk Files". ChessBase. December 2, 2008. Retrieved July 21, 2015. ^ "Decision of the FIDE doping hearing panel". FIDE. January 22, 2009. Retrieved October 20, 2011. Wikimedia Commons has media related to Vasyl Ivanchuk.